Conor McGregor is not shy when it comes to controversy. Even his nickname alone signifies that. The Notorious Conor McGregor. However, that said, his recent antics in New York have led even some of his oldest fans to think that this time he’s gone too far. I’m sure by now you all already know what went down, but for that select handful who don’t it goes a little like this. 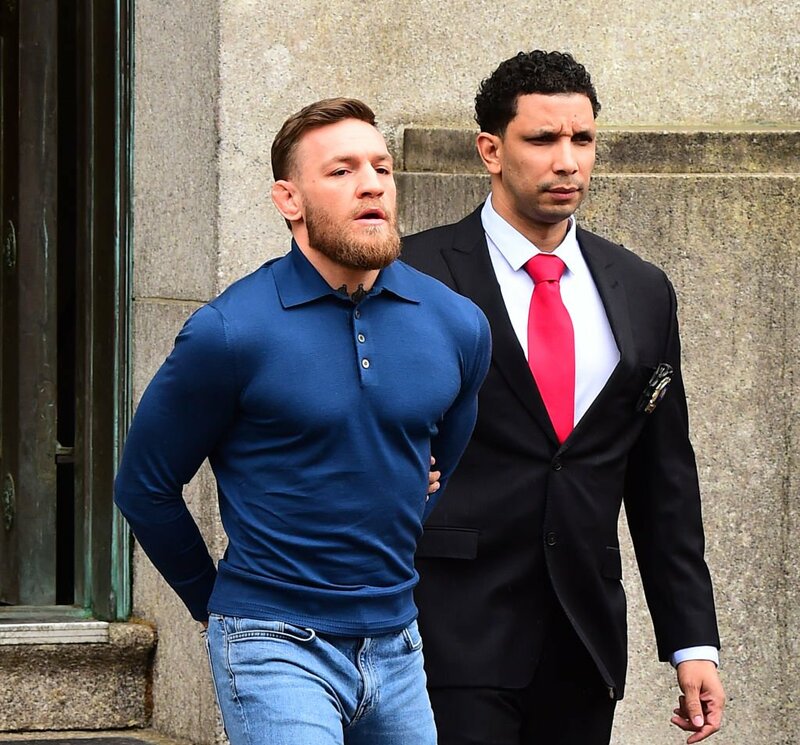 In the early hours of Friday morning, the Notorious Conor McGregor was arrested after he violently attacked a UFC bus carrying Khabib Nurmagomedov among others. Numerous people were injured including Michael Chiesa, who was hurt so badly he had to pull out of his fight, and Ray Borg who suffered a cut to the eye. The rampage, which has since gone viral, shows McGregor throwing a dolly at a bus window, smashing it, and in turn injuring numerous people, leading to the arrest of the Notorious, for misdemeanour assault and felony criminal mischief. While McGregor has remained relatively quiet in the aftermath of his arrest, he has recently posted a photo to Instagram showing him stood aside his longtime partner, Dee Devlin, and his 11-month-old son, Conor Jr.
Now if this was just a week ago, most would look at the picture as they would any other family photo. It’s a family together, looking relatively happy, aside from that terrifying glare in McGregor’s eye. But in the aftermath of last week’s attack, many are calling McGregor out for attempting to perpetuate an image of himself as a family man, when he is the same man who inflicted a lot of damage on a UFC bus and its passengers just days ago. Look at the coward playing family guy. Oh hes a family man now hahaha JUDGE PLZ DONT SEND ME TO JAIL I GOT A FAMILY PLZ!!! It’s cute and all, but it doesn’t make up for bullying. You owe some massive apologies. Now go man the f*ck up to what you have done and make it right. Do you think McGregor has posted the image in an attempt to make himself out to be the ‘family guy’? Or is it just an innocent photo that’s been overanalysed? It’s interesting to see the mixed martial arts hard man pulling his family around him like a security blanket here while he ducks at the back of the pose sporting a wary-looking facial expression. His legs might be splayed and his body angled in a way to suggest strength, power and cool nonchalance but the way Conor is leaning into his wife with one arm slung around her neck makes it look as though he’s in need of a little support right now. His lips are slightly raised at the corners in the hint of a smile but the joy didn’t really reach his eyes, which have a much more vulnerable expression in them. 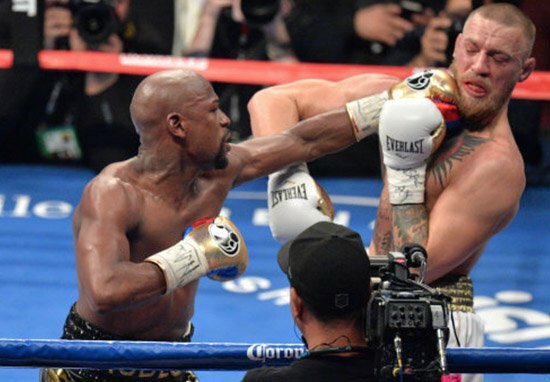 As of yet it’s not known what will happen to McGregor next. 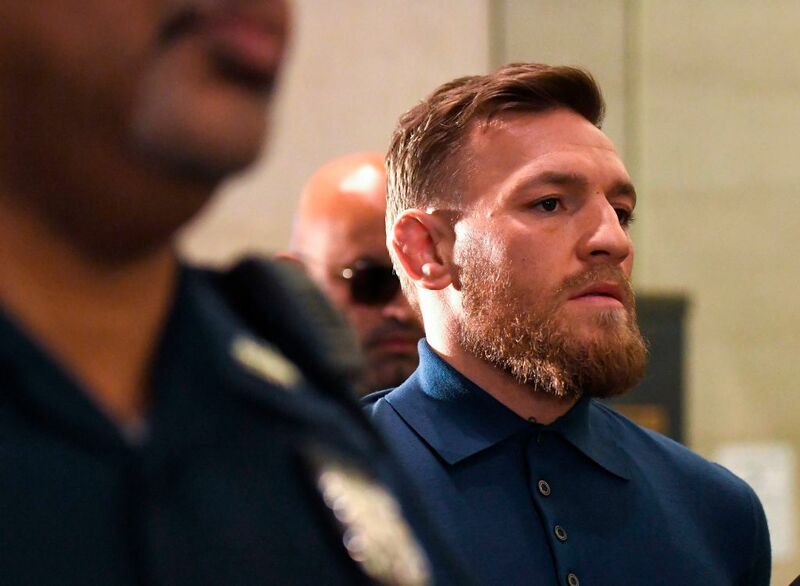 While it was reported earlier today that he will fight Mayweather again, but this time in the Octagon, it has also been claimed McGregor could face up to 11 years in prison for his violent antics. 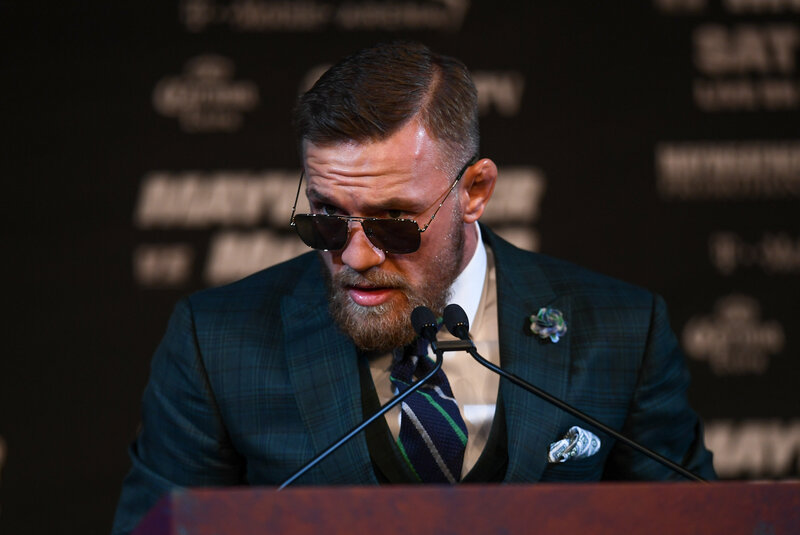 Although he almost certainly won’t be serving time behind bars, what is certain is that Dana White is truly p*ssed off with him, stating in the immediate aftermath of his outburst ‘would you want to work McGregor?’.